Our lovely columnist Edwina Lonsdale might not like me saying it (See Page 100) but it’s that time of year again – time to look back on everything that happened in 2015, and time to look forward to what 2016 might bring. 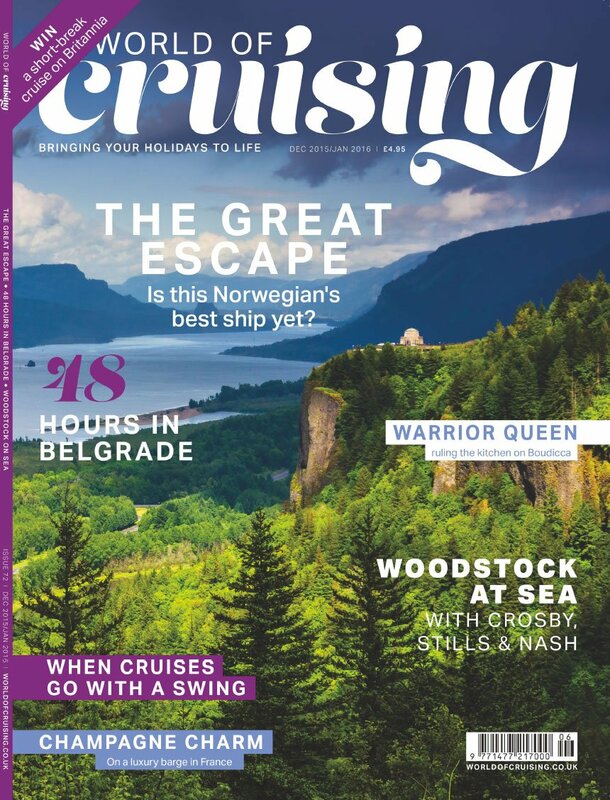 readers than ever are buying and subscribing and using World of Cruising as their first port of call for all things cruise. Gratifyingly, we are also attracting record amounts of advertising from cruise lines, cruise sellers, and destinations. Our owners, the forward-looking Real Response Media, took on two cruise magazines produced for the travel industry – Cruise Trade News and Cruise Ports & Destinations. There’s even more exciting news coming soon, but my lips are sealed for now. So I will take this last opportunity to wish our readers a Happy Cruisemas, and a much-travelled New Year.